Two French black metal bands named Ergotism independently released their debut albums in August of 2015. One of those debuts, Notre terre, nos aieux, notre fils et nos morts…, was reissued on CD through Pesttanz Klangschmiede a few months after its initial release, edging out their eponymous countrymen. The band’s sound is mostly mid-paced black metal with some pagan flourishes and the occasional, melodic minor key movement; a sound that sits well alongside label mates Draugûl and Antiquus Scriptum. 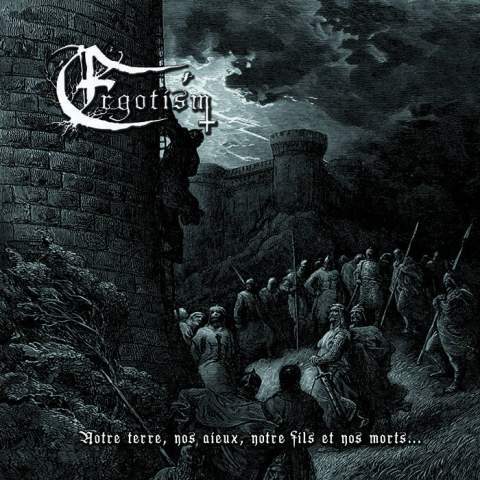 After a rather pleasing neofolk-tinged intro, Ergotism move into a classy, driving style of mid-paced black metal. While the band’s sound is clearly rooted in second wave styling, there are plenty of melodies, like the subtle, trance-inducing trem riffing or the clean chants and folk-tinged accoutrements sprinkled throughout the album. The band seamlessly weaves these folksy, pagan black metal movements with the aforementioned second wave approach, bringing an album reeking of nostalgia yet with an intriguing approach all their own. Each track flexes and breathes with a life of its own, stridently moving between the harsh black metal and folk-inspired melodies, as evidence on “Lux Divina”. Pigeonholing a band like this is quite difficult and, really, misses the point of what the band is trying to do. The recording is quite professional, especially given that the album was initially released independently. The guitars and vocals are given a full-bodied treatment with the bass coming across as quite warm in places. The percussion, though a bit one dimensional in approach, settles quite nicely in the mix. The solid production and often-present melodies merge to offer an extremely listenable album. Notre terre, nos aieux, notre fils et nos morts… is solid debut. Though it may be a little too melodic for the staunch, no frills black metal diehards, those who are keen to hear a little melody and pagan influence in their black metal would do well to check this out. Reports show that the band is currently working on a follow up (with a new drummer), so be sure not to sleep on this one. 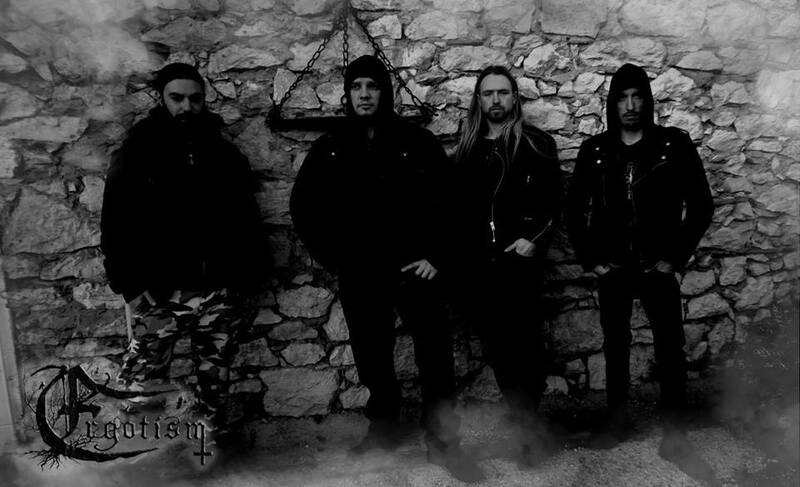 This entry was posted in Black Metal, Reviews and tagged atmospheric black metal, black metal, Ergotism, folk, France, neofolk, nos aieux, notre fils et nos morts, Notre terre, Notre terre nos aieux notre fils et nos morts\, Pagan Black Metal, Pesttanz Klangschmiede.